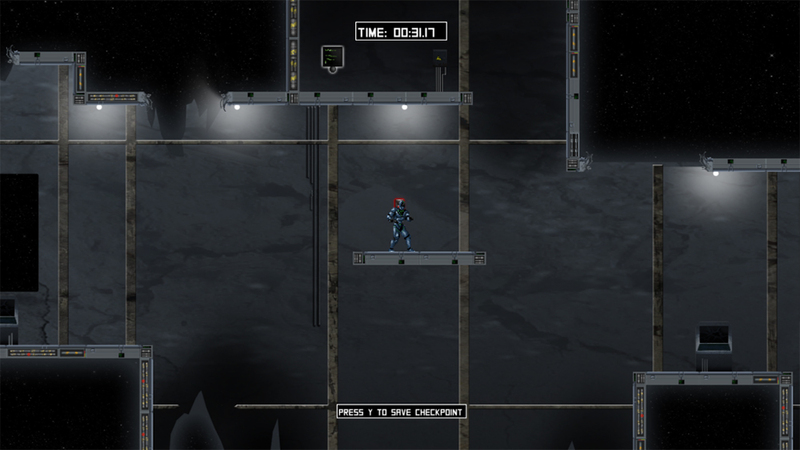 Untethered is a gravity-shifting, two-dimensional side-scrolling platform game that forces the player to think, literally, in new directions. Drehen, an engineer sent to the blacked out space station, Torque, is tasked to investigate the power outage and repair the station. 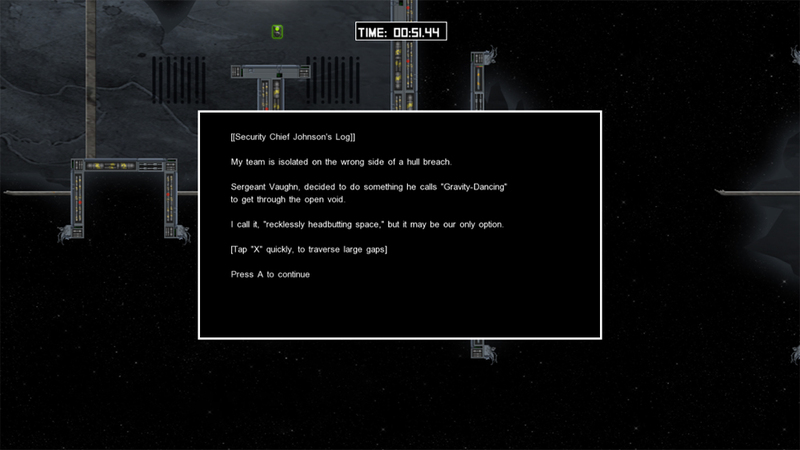 He must look at problems in a unique way, due to the shifts in gravity, to solve the puzzles presented to him. 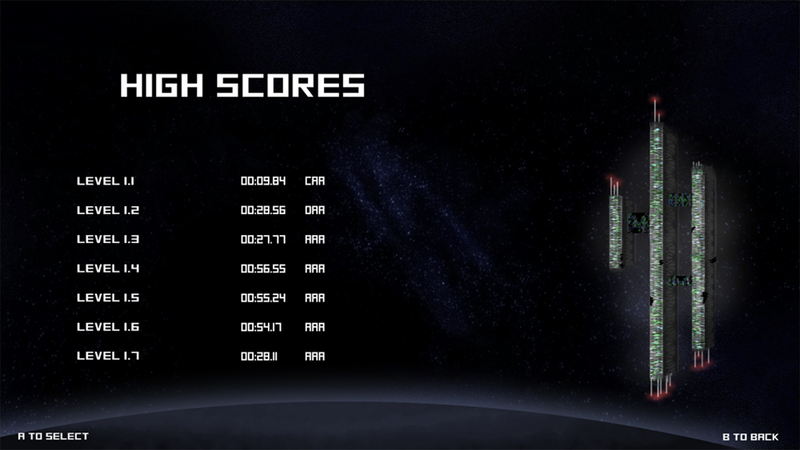 Untethered was a blast to work on, and was the first game I'd been a part of from scratch. Creating a sidescrolling level was something very new to me, and made me draw from my gaming roots as I created jumping puzzles for it. 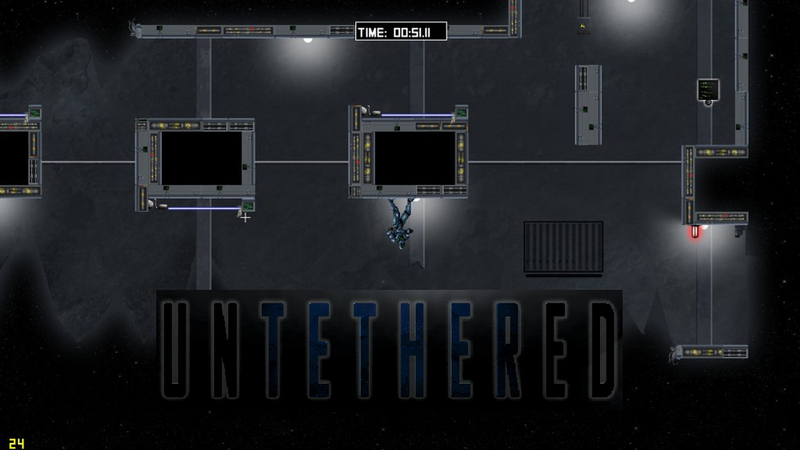 The unique thing about Untethered was the necessity to create jumping puzzles on -two- sides of the map: the floor and the ceiling. I enjoyed drawing out these sometimes inverted jumping puzzles and fine tuning them felt amazing when they clicked. After a few playtests, we noticed that players were using the gravity inversion mechanic to float through obstacles by rapidly pressing it and ensuring they never fell. Instead of trying to dissuade the player from this tactic, we incorporated it into our mechanics and ended up making half of our levels feature it. That was a fun lesson, and even our playtesters found it challenging and fun. 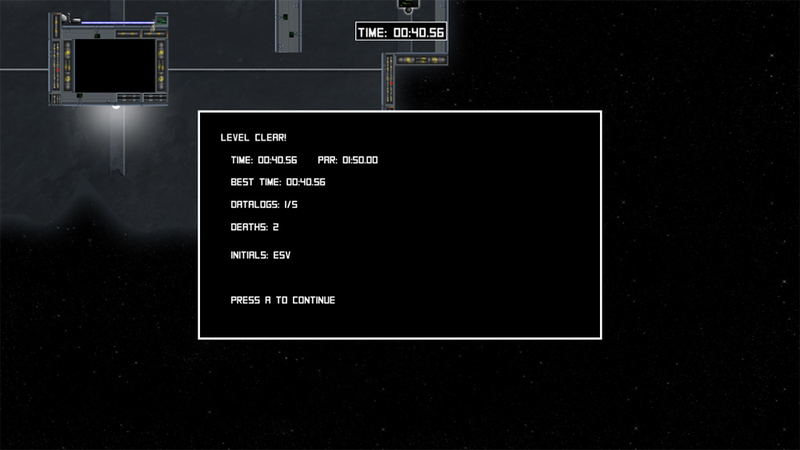 As an easter egg/joke, I put a series of numbers in a datalog in one of the earlier levels. These numbers were from a fortune cookie that I had from lunch that day. Almost every single playtester committed as many of those numbers to memory as possible before moving on. I then learned that if an LD puts something in the map, it'd better be worth it.